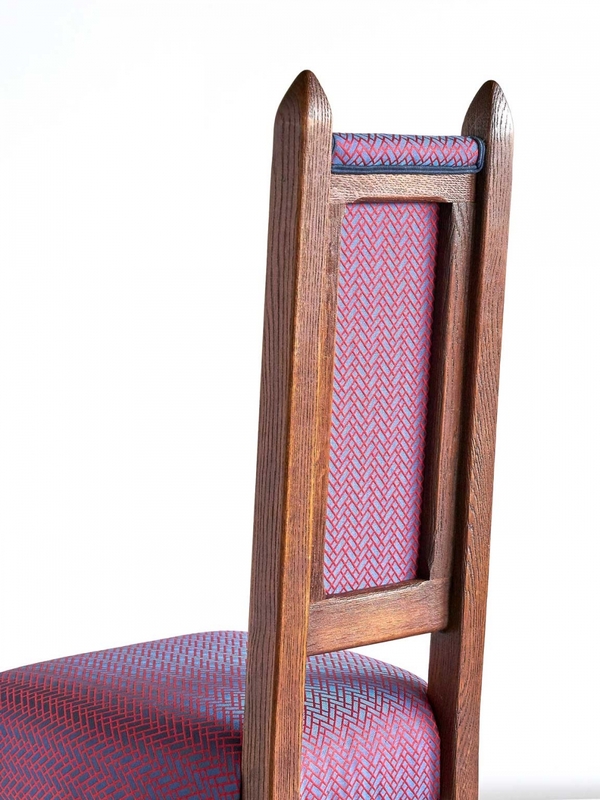 These oak dining chairs were produced in The Netherlands in the late 1920s. The geometric design is characterized by the high back, the pointed slats and the slightly curved form of the seat and base. 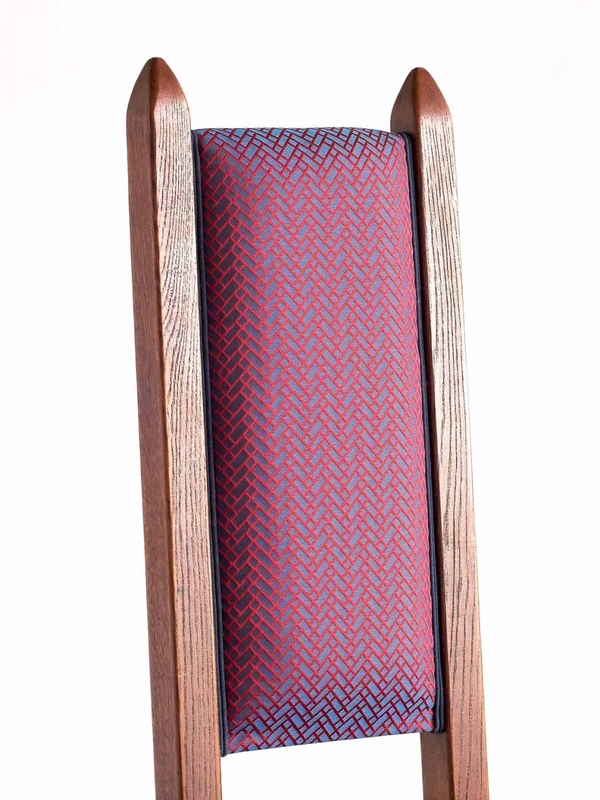 The chairs have been reconditioned and newly upholstered in a Hermès Chevronné fabric. 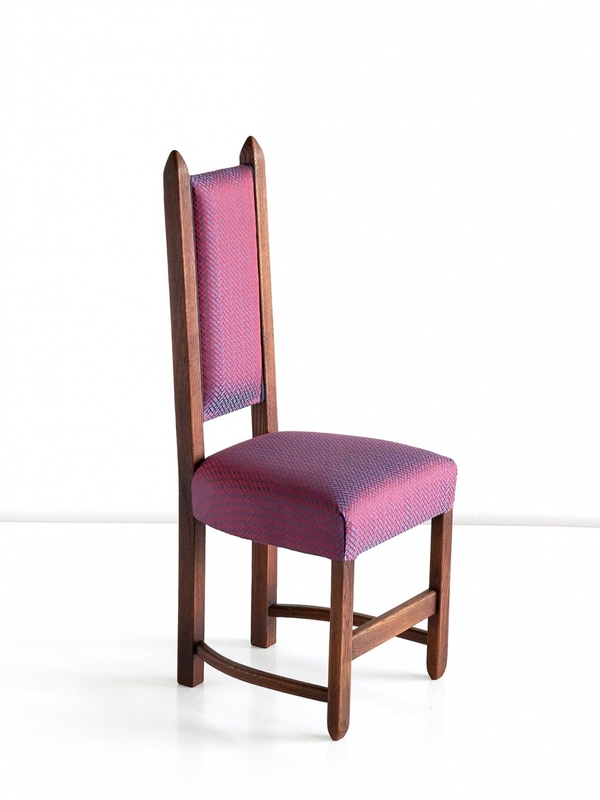 The graphic chevron pattern of red and blue tones give the jacquard fabric a subtle purple appearance. 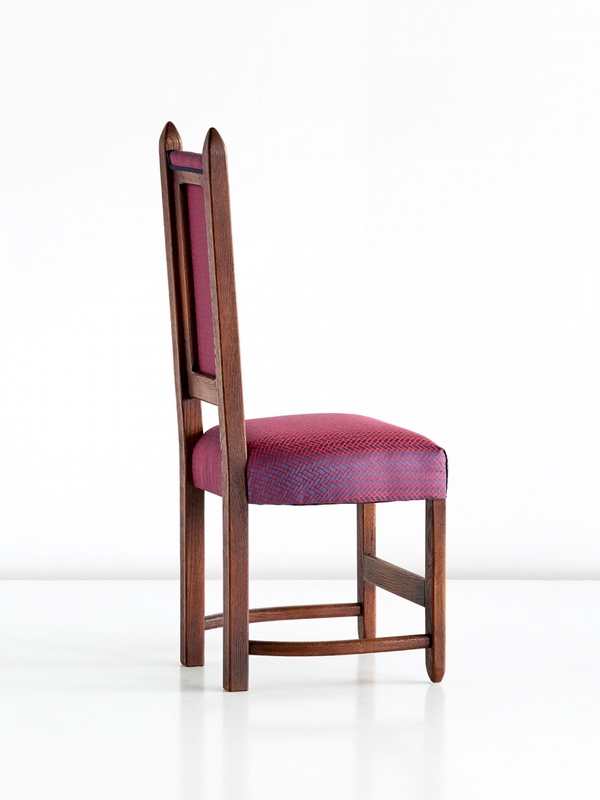 These chairs perfectly illustrate the wide-ranging stylistic influences for which the rather specific Dutch Art Deco period is known. This style was not so much inspired by the Classic European Art Deco capitals such as Paris and Vienna but rather by other architectural developments such as the De Stijl movement, De Amsterdamse School, and the modernism of Frank Lloyd Wright, whose architecture was already well-known in The Netherlands in the early 1920s. Condition: Excellent. The chairs have been fully reconditioned and newly upholstered in a contrasting Hermès Chevronné jacquard fabric.